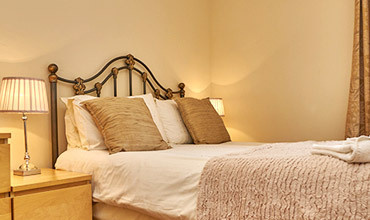 Our luxury bedrooms are warm, spacious and have luxury bedding to make you feel right at home. You will never felt you left home, our apartments are truly a home away from home experience. 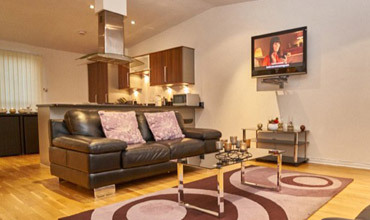 Our luxury Edinburgh apartments all have spacious living and dining areas, ideal for having a relaxing night in. When you’re settled in, switch on a flat screen and unwind, ready for another exciting day in Scotland’s capital city. 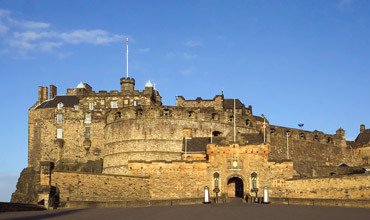 Our apartments in Edinburgh are all located within walking distance of the Edinburgh's main attractions. If you want to shop on Edinburgh's scenic Princes Street or have a tour of the Royal mile and Castle, everything is on your doorstep. Looking to spend several days in Edinburgh? 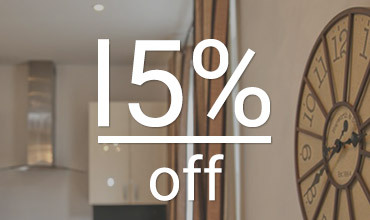 If you're here longer than a week, you'll want this offer of 15% off. First time with us? 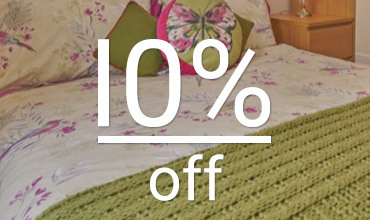 Enjoy 10% off your first stay with us and experience our fantastic hospitality in one of our Edinburgh self catering apartments. 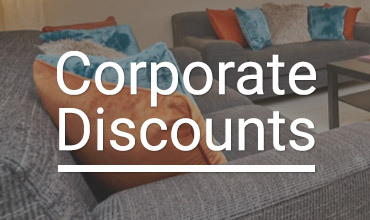 We can offer corporate discounts if you are working in Edinburgh during the week and returning weekly on a regular basis.